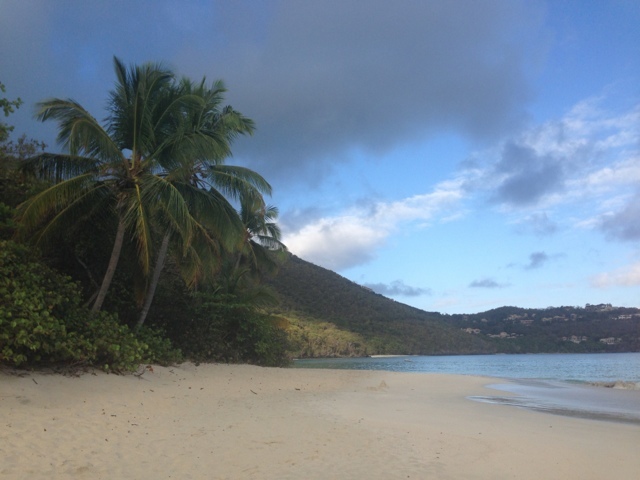 Continuing along with my theme of camping on islands (see my post on Easter Island), last week I spent 3 nights camping on St. John in the US virgin islands. Now, I hadn't initially planned on camping during my trip. I had snagged a great airfare to St Thomas from BWI ($212 round trip) and booked it without first looking at hotel prices. I searched high and low for a decently priced hotel or a good use of hotel reward points but I had no such luck. That's when i decided to get creative and look at other possibilities. Most of the island of St. John is part of Virgin Islands National Park so i figured camping might be an option. 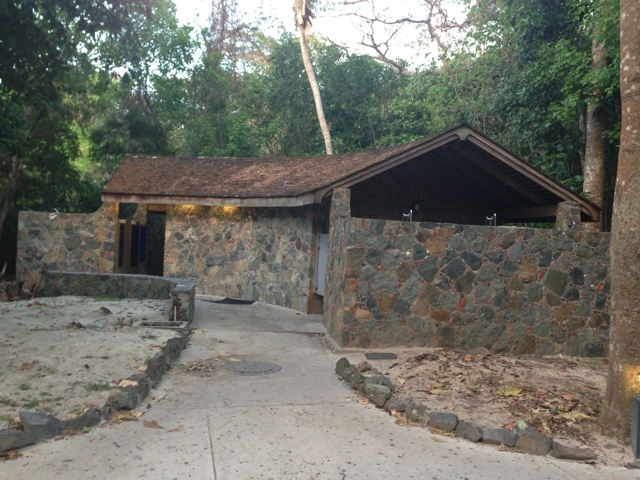 The campground i stayed at was located at Cinnamon Bay; inside the park but privately run. 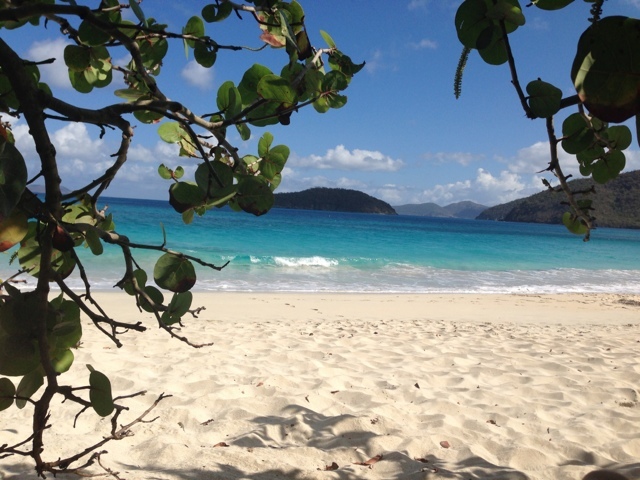 Cinnamon bay campground offers 3 different types of lodging. Cabins, Pre set up canvas tents, and bare sites. The rates are $93, $67 and 32$ a night respectively. I decided to go for the cheapest option and bring my own tent. To reduce costs even further I had planned on bringing everything I would need in my carry on. I was slightly concerned about what TSA would think about a tent on a plane, so my plan was to remove the stakes and arrive at the airport a little early. That way if they threatened to confiscate my tent as a weapon of mass destruction, I could always check my bag and pay the 25$ fee. Along with my tent, we also brought along an air mattress, a light fleece blanket, cooking pot, plastic utensils and some easy to cook meals such as rice and beans, powdered soup mix, oatmeal, granola bars, etc. I had heard that food on the island could be expensive so I wanted to minimize that expense. Everything worked out just fine. TSA had no issues with my metal pot or tent and everything fit into my carry on. Getting to the campground was fairly easy. From the Airport in St. Thomas, we took a cab (10$pp) to the ferry dock in Charlotte Amalie. The ferry was 45mins long, cost 12$ and dropped us off in Cruz Bay on St. John. An additional cab ride from Cruz Bay to the campground was 7$ each way + 2$ for bags. We later found out that on St. Thomas there are "safari taxis" which are basically pickup trucks with open air benches in the back. 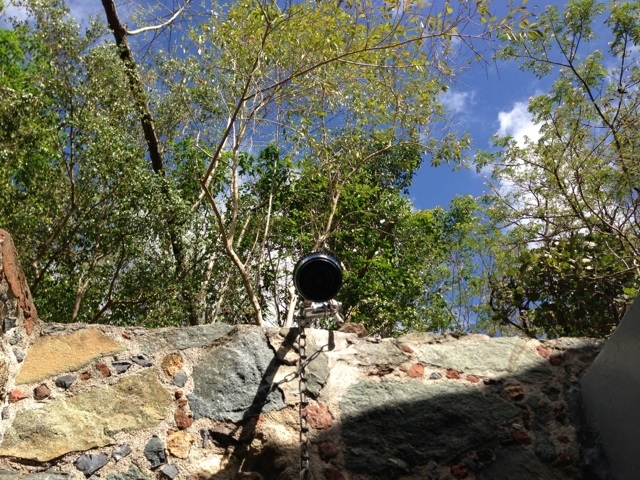 These run from the end of the airport road into Charlotte Amalie for just 1$. 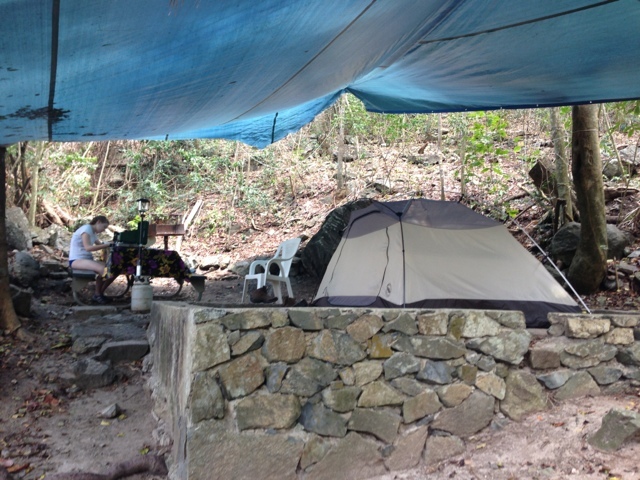 As for the campground its self, I thought the facilities were very clean and well maintained. Our campsite, #58 was a stones throw away from the beach, yet in a shady secluded area. The site came with a level platform for the tent, a picnic table, wood/charcoal grill and a Canvas covering the entire site. The canvas was a nice touch as it meant we could leave our rain fly off of the tent and allow the breeze to cool things off at night. Showers were clean but there is no hot water. That is really not an issue as the cool water feels refreshing, and you have a beautiful view of the forest while showering. 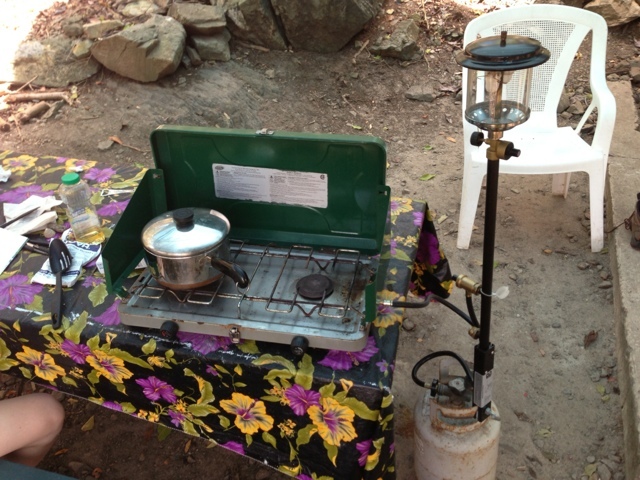 The campground rents some equipment such as a propane stove for 5$/day and fuel 5$/day. There is also a small shop which includes all the basic food and drink supplies you would need and they have an on site restaurant. Additionally, there is a beach shop which rents snorkels and other beach related gear. The location of the campground is top notch. 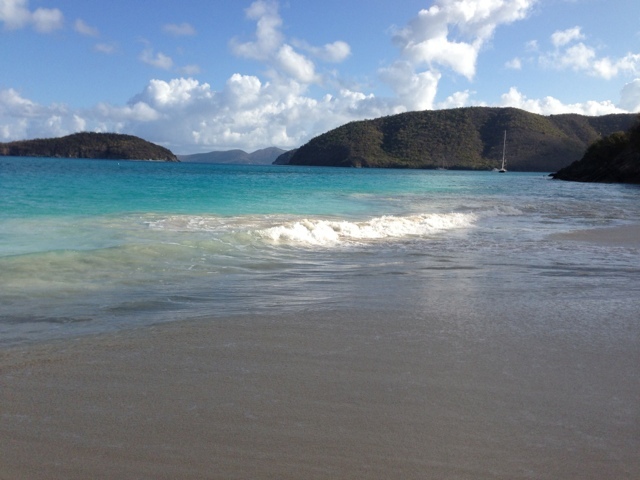 It is located directly on Cinnamon Bay beach, one of the most picturesque beaches on the island. The fact that we were staying there meant we had the whole beach to our self in the mornings and late afternoons. The water was turquoise blue and there was some very good snorkeling just off shore. As a tip, bring cash as ATMs are hard to find outside of the main towns and most places are cash only. At the campground the "credit card machine was down" for 3 days so apparently even places that except cards can become cash only. See my post on what we did on St. John and St. Thomas.